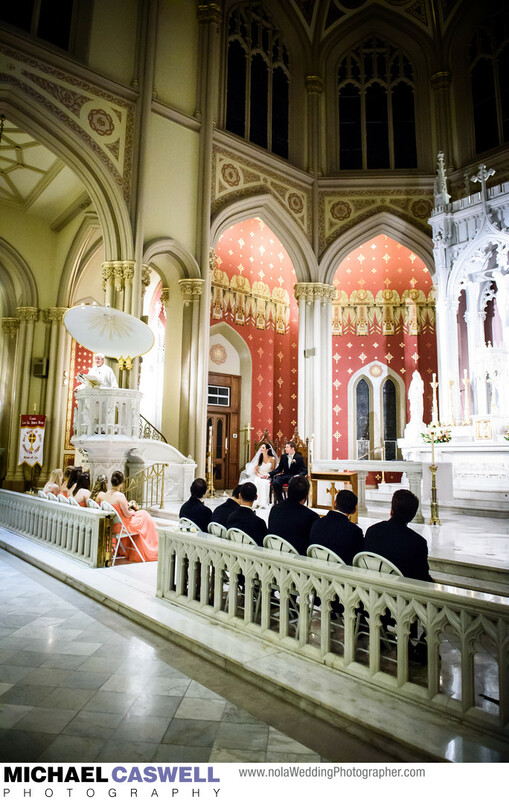 Another gorgeous church, Holy Name of Jesus, is a favorite among New Orleans brides. Built in 1918, it's a beautiful church that is instantly recognizable in pictures. It photographs well, and there are several great wedding reception sites located nearby, with the Elms Mansion, the Columns Hotel, and the Audubon Tea Room and Golf Clubhouse all just a short drive away. Additionally, the Round Table Club is right across the street, as is Audubon Park, which is a nice location if you are looking to do some outdoor portraits before or after the ceremony. 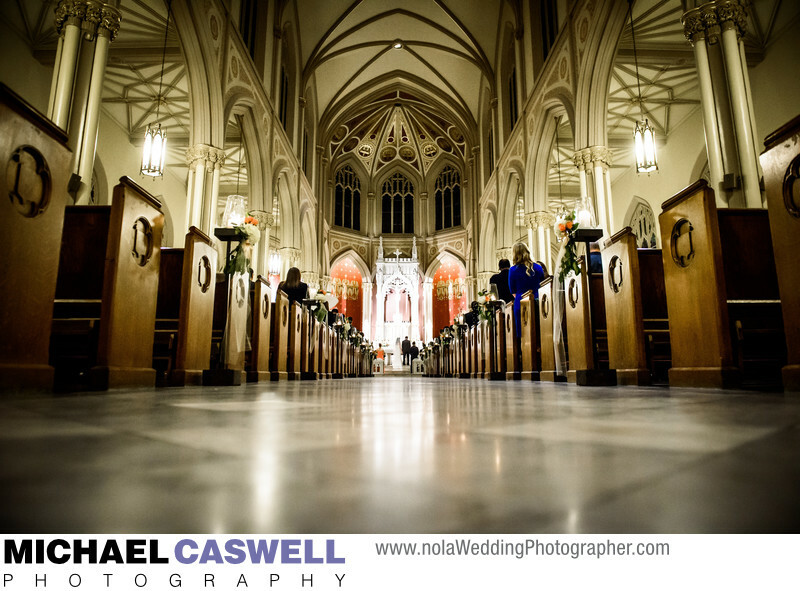 Of course, close proximity to the reception venue, while convenient, is not an absolute necessity, as many of the HNJ weddings I've photographed have had their receptions in the French Quarter or elsewhere. Because the church is on Saint Charles Avenue, you could even transport your guests by chartered streetcars for a unique New Orleans experience. Regardless, if you would like to get married in a Catholic church, Holy Name should be near very top of your list! The ladies at Down Annie Lane were the coordinators for this wedding, and the reception was held at the popular Southern Oaks Plantation in New Orleans East. Here's a wide angle photo from the rear of the church. Location: 6367 St Charles Ave, New Orleans, LA 70118.